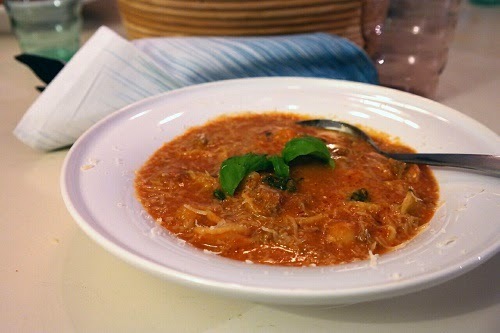 We love tomato based dishes and tomato soup is consumed quite often. As a food blogger one needs to come up with different kinds, but not so strange so the children wont eat. Nälje wanted lasagna today, but since it is soup Wednesday I made this soup instead. 1 liter broth / water with bullion. 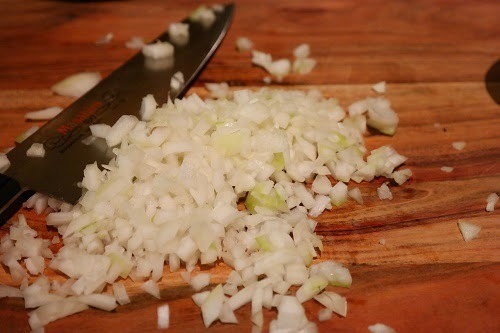 Chop the onion and saute along with the minced beef with the oil in a sauce pan. 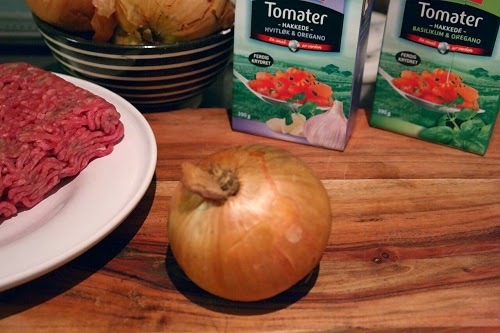 Chop the tomatoes in a blender until you get a smooth mixture and pour to the pan with the onion and mince beef. Add tomato pureé and broth and bring the soup to a boil. Add the pasta when the soup is boiling and let it simmer until pasta is done. Taste the soup to adjust the sweetness with a little sugar. Lastly add the creme fraiche/sour cream and a handful of torn/chopped fresh basil.Serve the soup with grated Parmesan, garnish with a few basil leaves and some nice bread.